Take tsunami preparedness seriously says Secretary general of the Caribbean Tourism Organization (CTO) Hugh Riley as he called on Caribbean states to take tsunami preparedness seriously, stating to do otherwise would put the people and regional economies at risk. Speaking in Paris, France, during a discussion organized by the United Nations Educational, Scientific and Cultural Organization (UNESCO) to raise awareness of the threats posed by tsunamis, Riley insisted that Caribbean countries risked paying the price for complacency. 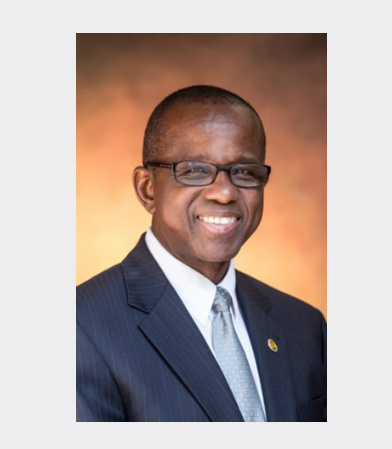 He stressed with the Caribbean being comprised mainly of low-lying states, and with most tourism assets and hotel investments located at or near coastal areas, the tourism sector is extremely vulnerable to the threat of tsunamis. 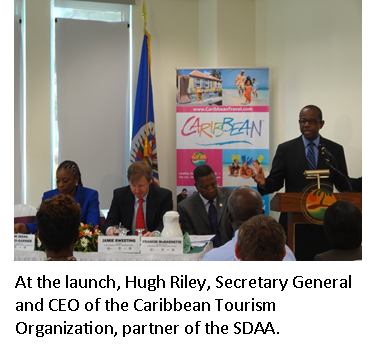 “Tourism is the main economic driver of the Caribbean, representing 80 percent of the region’s gross domestic product and more than one million jobs so we cannot ignore a tsunami risk,” he told fellow panellists and the wider audience, which included representatives from Grenada, Saint Lucia and St. Vincent & the Grenadines. “Complacency puts us in real danger, and we must raise the Caribbean’s voice by advocating for our members during this important global forum,” he added. The event was held in advance of World Tsunami Awareness Day on 5 Nov. 2018. The secretary-general noted that the region had experienced 11 tsunamis in the past, the most recent of which occurred in 2010, and six between 1902 and 1997. He suggested that because there has been no “recent” impact on the region, tsunamis are not considered an imminent threat; therefore, they are not given sufficient attention. He called for an increase in tsunami awareness and sensitization of the tourism sector and the wider Caribbean community, as well as support for training by regional institutions and countries to develop preparedness and response protocols. Riley highlighted several CTO members’ tsunami readiness initiatives, including Anguilla, the first English-speaking Caribbean island to be recognized as “tsunami ready” in September 2011 and has maintained certification status. Since then the British Virgin Islands and St. Kitts and Nevis have received similar recognition, all having established emergency operating centers, national tsunami plans, public outreach, and alert systems, public service information programmes and tsunami preparedness and response protocols. The high-level panel was organized by UNESCO’s Intergovernmental Oceanographic Commission (IOC) and the United Nations Office for Disaster Risk Reduction (UNISDR) to discuss policies and practices to reduce tsunami risks in countries highly dependent on tourism revenue. The Caribbean Tourism Organization (CTO), with headquarters in Barbados, offices in New York and London and representation in Canada, is the Caribbean’s tourism development agency comprising membership of the region’s most beautiful countries and territories including Dutch, English, French and Spanish, as well as a myriad of private sector allied members. The CTO’s vision is to position the Caribbean as the most desirable, year round, warm weather destination, and its purpose is Leading Sustainable Tourism – One Sea, One Voice, One Caribbean. Among the benefits to its members, the organization provides specialized support and technical assistance in sustainable tourism development, marketing, communications, advocacy, human resource development, event planning & execution, and research & information technology. For more information on the Caribbean Tourism Organization, please visit www.OneCaribbean.org and follow CTO on Facebook, Twitter, Instagram, and LinkedIn to be part of the conversation.